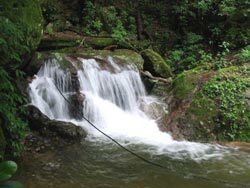 National Park Montecristo is located at 125 km North West of San Salvador. 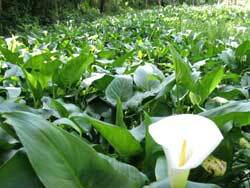 Montecristo is a very popular destination for the adventurous travelers. 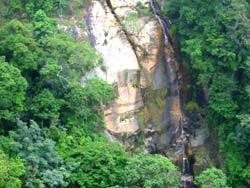 Declared a national park in order to protect its flora and fauna, it was the first protected area in El Salvador. 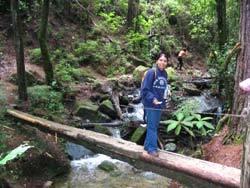 National Park Montecristo is a cloud forest located in the northwest region of the country, close to the border of Guatemala and Honduras; its 2,000 hectares include three important mountains: Montecristo, Miramundo and El Brujo, at 2,418 m ASL. Montecristo offers camping areas, a botanical garden, and rustic pathways which will take you far into the humid forest. One of its main attractions is the trees which can reach up to 30 meters of height, like cypresses, oaks and pines. 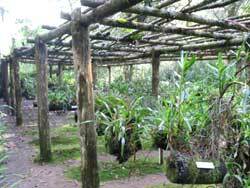 The Garden of the Hundred Years (Jardín de los Cien Años) holds an incredible exhibit of orchids. Some of the fauna found in the area includes black shrew-mouse, squirrels, porcupines, white tailed deer and pumas (but you must have a bit of luck to be able to see the puma). There is a time of the year during which more than 275 endemic species of birds can be seen, among those migratory birds that are flying away from the cold up north. To access the park you should drive a four wheel drive vehicle, and during the winter it can take up to three hours from San Salvador.